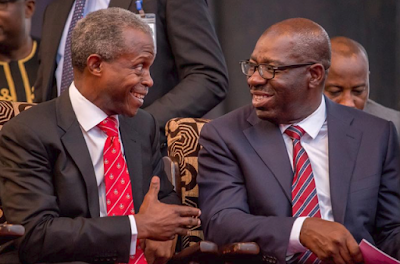 Vice President Yemi Osinbajo, has explained the reason behind Nigeria’s latest micro-credit schemes, TraderMoni and MarketMoni, are among the initiatives. 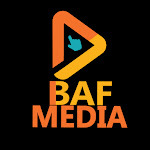 BAF MEDIA learnt that the Vice President stated the reason at interactions with Nigerians across diverse backgrounds at Karu, Mpape and Kubwa, all satellite towns in the FCT. According to the vice president more Nigerians would be lifted out of poverty if the is government re-elected for another term. he also said that for the very first time in the history of this country, loans are being made available for petty traders, small traders. At Mpape community, Osinbajo told a gathering of artisans, women, community leaders and youths that the government of President Muhammadu Buhari was for the common people and had demonstrated same through the various empowerment schemes. “Because every one of us must start from somewhere; when you start poor, somebody must help you to become rich; if you are a small business woman, somebody will help so that you too will become a big business woman. “That is why President Muhammadu Buhari started this TraderMoni so that market women can grow their businesses gradually and after a while, they too will have enough money to be able to build their own houses and everything they want to do. At Gbazango, Osinbajo and entourage proceeded to the family compound of 102 year-old Sunday Kukwaba Gazazhin, a respected Gbagyi family, accompanied by a jubilant crowd comprising residents of Gbazango and environs, including traders from the Kubwa village market.He had a chat with the patriarch of the family and other family members through an interpreter before leaving.